These 2017 Platinum Eagles are Cleared for Landing! Any fan of the Olympics worth their mettle can instantly recite the order of medal metals -- bronze, silver and gold. But what ranks above gold? A music fan or elite credit card holder will instantly tell you that platinum is the next step up. And what a step up it is! 15 times rarer than gold, approximately 90% of the world's platinum comes from only four major mines (three in South Africa and one in Russia). It's a precious metal that's worth having in any collection, and this 2017 Platinum Eagle is a great way to bring it to yours! 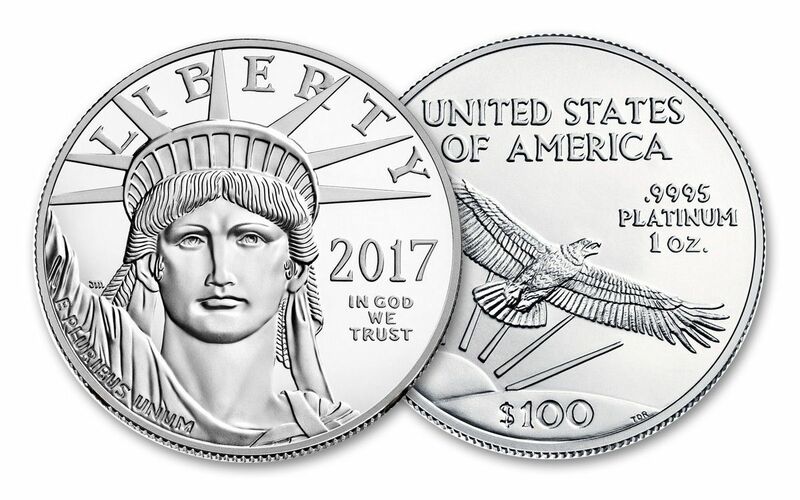 2017 marks the 20th anniversary of the Platinum Eagle series, and these gorgeous $100 coins celebrate the occasion beautifully! Each coin is minted in one full ounce of 99.95% pure platinum by the Philadelphia Mint and features the artistry of both John Mercanti on the obverse and Thomas D. Rogers Sr. on the reverse. You'll love the amazing detail Mercanti has given to the face of the Statue of Liberty, and the simple, yet powerful design of Rogers' eagle taking flight. 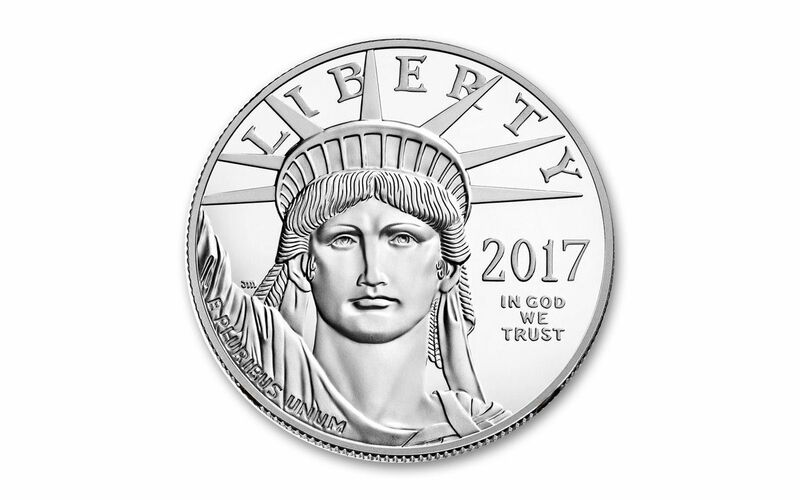 Your 2017 one-ounce Platinum Eagle will arrive to you in freshly-struck Brilliant Uncirculated (BU) condition -- just as it left the mint! 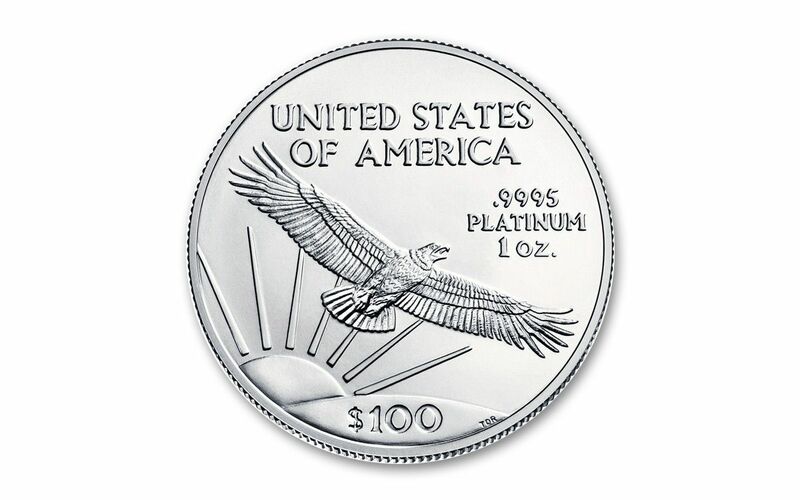 While proof versions of these 1-oz Platinum Eagles have been produced every year since 1997, bullion versions of these coins haven't been quite as consistent. In fact, since 2009, 1-oz bullion Platinum Eagles have only been struck TWICE (in 2014 and 2016). 2017 marks the third time in nine years that a non-proof bullion version will be produced. Suffice it to say, this is a big deal! Don't miss out on this chance to own this beloved bullion -- order yours now!